Made exclusively for Triad's Alpha, Evalution (EVA) and Otaku bodies, these are female heeled shoes in three different sizes. The shoes are made to specifically fit our Female Feet sets and it comes in three sizes - low, medium, and high heels. 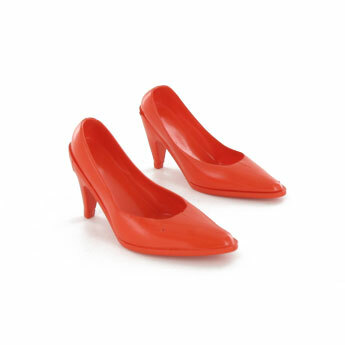 Constructed with two different components, the upper shoe part is made of a flexible vinyl while the heels and sole is made for a much stronger hard plastic like real soles for durability and strength.